Our Fotona Laser is an amazing addition to our already superior laser therapy options here at Martin’s Rejuvenation Centre! What makes the Fotona system unique is the use of two types of laser wavelengths that can work on several layers of tissue (deep, middle, and surface structures of the skin, while simultaneously targeting skin imperfections) allowing us to truly customize your treatment options. 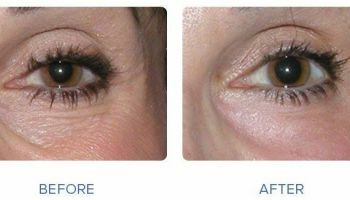 Fotona Smooth Eye laser treatment is a specialized laser treatment which lightly heats the skin and tissue around the eye. 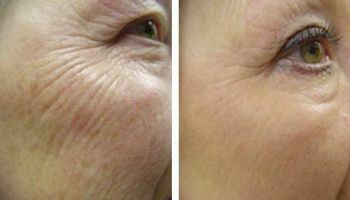 This non-invasive laser treatment enables full-thickness contraction of collagen that helps with long-lasting tightening and volumization without the use of injectables. The Fotona Smooth Eye laser treatment aims to tighten the skin on and around the upper and lower eye. Who Can Provide A Consultation And Perform Treatment? Your consultation process is taken very seriously here at Martin’s. We want you to feel comfortable with our team and we also want to ensure your needs and concerns are being heard. You will be asked to complete a brief history form, which will be reviewed with one of our expert laser technicians. Your appointment time is geared towards discussing possible treatment options, reviewing budget, understanding risks & benefits, and obtaining your consent to proceed. The procedure is very quick and should take about 20-30 minutes. Before treatment it is important to stop any medications that might cause light sensitivity, and we also encourage patients to stop Retin A or Glycolic Acid at least 2 weeks prior to treatment. We require that all patients stop taking Accutane at least 6 months prior to any laser treatments. The treatment is quite comfortable overall but most people will feel some heat related discomfort during the treatment. This is usually temporary (during the procedure) and localized to the area being treated. Redness and swelling is also common after laser treatments but the degree will vary greatly based on an individual’s skin sensitivity and the aggressiveness of treatment. Redness and swelling can last anywhere from a couple of days to a couple of weeks. Other more rare effects can include mild tenderness that persists for several weeks, a flare-up of acne or milia formation, pigment changes or inflammation/irritation of the skin. How Long Will The Effects Last?? Because everyone is different, it isn’t possible to completely predict how long results will last. Factors such as age, sun exposure, smoking, and overall skin care practices can influence results greatly. Many clients will notice an improvement in the appearance of their skin after one treatment but best results will be achieved with a series of 3 to 6 treatments (spaced approximately 4-6 weeks apart from each other). To maintain maximum effect, we recommend 1-2 maintenance treatments every 6-12 months. There is no downtime after the procedure. Occasionally, patients note their skin feels somewhat dry and flaky for a couple of days immediately after the procedure but otherwise there is no special after-care to consider. It is important to consider that the Fotona laser is not to be used on tanned skin or with medications or creams which cause light sensitivity. We also can’t perform treatment if you are pregnant or breastfeeding. If you have any questions about eligibility for treatment, be sure to book a free consultation with one of our expert laser technicians.